Assertive attorney providing excellent legal services for more than 25 yearsAshley Law in Henderson, Nevada represents individuals and businesses in the Las Vegas and Henderson areas in matters of real estate litigation, real estate and brokers liability, trust and estate planning, and more. Attorney Elizabeth S. Ashley is a distinguished lawyer with more than 25 years of experience providing high-quality legal services to clients. Elizabeth is a skilled litigator and seasoned trial attorney with the knowledge to secure her clients highly favorable outcomes. She will approach your case with compassion to determine the best course of action for your individual legal needs, and will represent you aggressively to achieve your goals. With the assistance of experienced paraprofessionals, Elizabeth offers efficient and cost-effective legal solutions. Call Ashley Law today to schedule a consultation with Attorney Elizabeth S. Ashley to see how she can help you. Reputation — Elizabeth is nationally recognized in the Martindale-Hubbell® Bar Register of Preeminent Lawyers™ as AV® Preeminent™ Peer Review Rated by Martindale-Hubbell®, a reputation she has earned through more than 25 years of obtaining successful outcomes for her clients in the most professional manner. Elizabeth’s reputation is a testament to the commitment in upholding the highest ethical standards. Compassion — Elizabeth treats each client with compassion and listens attentively to your specific legal needs so she can strategize the most effective course of action. Then focuses on aggressive pursuit of your goals. Efficiency — Elizabeth understands that legal problems are stressful for individuals and businesses. She works diligently to ensure you receive the quality representation your case deserves in a cost-efficient and effective manner. Real Estate Litigation — Elizabeth employs substantial knowledge about property laws and litigation to help you get through the stress of real estate litigation and reach your goals involving property contracts, home sales, construction and more. Real Estate and Brokers Liability — Elizabeth uses her experience with property rights, real estate issues, and finance and business to represent clients in real estate and brokers liability matters. Trust and Estate Planning — Elizabeth has in-depth knowledge of trusts, estates and probate and can help you secure your future and your family’s future through trust and estate planning. Contact Elizabeth S. Ashley to assist you in your legal needs today. 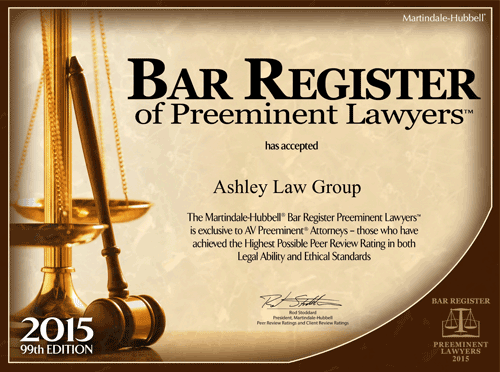 Call Ashley Law at 702-837-6605 today to schedule a consultation, or contact Elizabeth online.